Shoplifting? Or Organized Retail Crime? Much of the shrinkage retailers imagine is small-time is actually the result of larger criminal networks. Plus, trash into treasure in this month's retail tour. Late last year, the former president and CEO of Rosemont Wholesalers in Hayward was sentenced to nearly seven years in prison for various acts of retail-related fraud. Over the course of at least two years, Hassan Swaid ran an enterprise that purchased pilfered razor blades, baby formula, and Tylenol from Bay Area convenience stores that had, in turn, bought the stolen merchandise from a team of shoplifters. Swaid then re-sold the plundered goods to small, local grocery stores and online customers across the country. When the feds raided the Rosemont Wholesalers warehouse, they found twelve tractor-trailers full of items lifted from stores such as Safeway and Target — merchandise that totaled millions of dollars. Law enforcement and retail experts point to incidents such as the Swaid case to argue that some instances of shoplifting are actually part of larger and coordinated organized retail crime (ORC). "It was an eye opener for me because, generally speaking, when I usually pick up a shoplifter, an organized ring doesn't come to mind," said Lt. Bob Conner, an investigator with the Alameda County District Attorney's Office, who became aware of the issue at a seminar hosted by the California Grocer's Association. "I didn't initially realize how lucrative it could be and how people are specializing in this." Although the crime is associated with larger retailers, experts say that ORC affects businesses of all sizes. "Stores, whether they're chain stores or a small store, if they're carrying the designer goods that are on the shopping list of the criminal offenders, they are most likely seeing ORC," said Joe LaRocca of the National Retail Federation. "Smaller stores may not be the first on the offender's list, but as larger stores put in more security and increase patrols and lock up goods, this forces criminals to look at other places, including local retailers." But organized retail crime isn't always top of mind because there currently isn't a uniform definition of it on federal law books. But it's garnering increased attention. Last November, Congressman Lamar Smith introduced the fourth ORC-related bill in Congress, and one such bill was introduced in California in 2008. Criminologist Richard Hollinger of the University of Florida has estimated organized retail crime to be a $9 billion annual problem nationwide, and other industry estimates have pegged it as high as $30 billion a year. In California, it's estimated that such networks steal about $5 billion of merchandise a year from California retailers for loss in sales tax revenue of up to $375 million annually. Such crime often goes undetected, experts say. "Any one action doesn't look large," said Bill Dombrowski of the California Retailers Association. "But if you put them all together, you see that they're stealing millions of dollars." The bills currently before Congress would make organized retail crime a crime under federal racketeering statutes and create stiffer penalties for ringleaders. Eighteen states have passed such laws, and the California bill, which currently is stalled in committee, was drafted to "define what organized retail crime is and to build a hierarchy in terms of the penalty so the masterminds get prosecuted," according to a spokesperson for Senator Leland Yee. "Right now, the only thing that law enforcement can do is go after foot soldiers, the petty thief." Pending the creation of new laws, retailers and law enforcement are creating partnerships to address the issue. The retail industry has developed a database — the Law Enforcement Retail Partnership Network — to track and report organized retail crime; in December, it was connected to a FBI database to assist federal law enforcement. And last June, the US Immigrants Customs and Enforcement launched a program to focus on organized retail crime cases involving immigrants, or cases where products and money are being diverted outside of US borders. Some of the proceeds from the Rosemont Warehouse case, for example, ended up in Yemen. "It's a lot bigger than what we see and there's a lot more going on than we are aware of," said Sergeant Shawn Knight of the Oakland Police Department, who investigated the case. "Small business owners are subject to the effect of organized retail crime, but really, everyone is affected because it leads to an increase in prices." Here in the East Bay, we're proud of and perhaps smug about our enviro-savvy. After all, California officially leads the nation in recycling, and East Bay residents throw out less than four pounds of trash per person, per day (compared to five pounds per person throughout the state). Berkeleyites are so good at making sure that things stay out of the garbage that the San Francisco Chronicle recently reported that the city has seen a $4 million decline in waste pickup revenues. Consequently, the East Bay is brimming with businesses turning trash into treasure. Aside from stalwarts like Urban Ore (900 Murray St., Berkeley; UrbanOre.ypguides.net), Ohmega Salvage (2407 San Pablo Ave., Berkeley; OhmegaSalvage.com,) and the East Bay Depot for Creative Reuse (4695 Telegraph Ave., Oakland; CreativeReuse.org), a number of local enterprises have discovered that discards can be converted into objects of desire. At Re4m (2054 Mountain Blvd., Oakland; Re4mReform.com), a minimalist boutique in Montclair, co-owners Lisa Tana and Ashesh Patel sell goods that span the entire sustainability spectrum. This means coasters made from recycled tea bags by South African women, and colorful office accessories derived from scrap leather from South American tanneries. But local's the thing here, too. Re4m is the exclusive brick-and-mortar retailer for King Bag Co. (KingBagCompany.com), which makes bowling bag purses, messenger bags, and coin purses out of salvaged Fifties-era seat covers — think lovely textured red, blue, and sparkly-silver vinyl. Each bag is handmade by northeast Oaklander Bobby Glasser, who bought out the remaining stock at King Kovers on Oakland's Broadway Auto Row before it closed. Bag straps are made with recycled seat belts, and any leftover scrap is given to an artist-friend who uses them in her collages. Re4m also was the first store to sell Montclair Soaps (MontclairSoaps.com), which are handmade by Kim Emanuel in his home studio in the Oakland hills. Emanuel embarked on soap-making when his wife began getting headaches from synthetic fragrances. 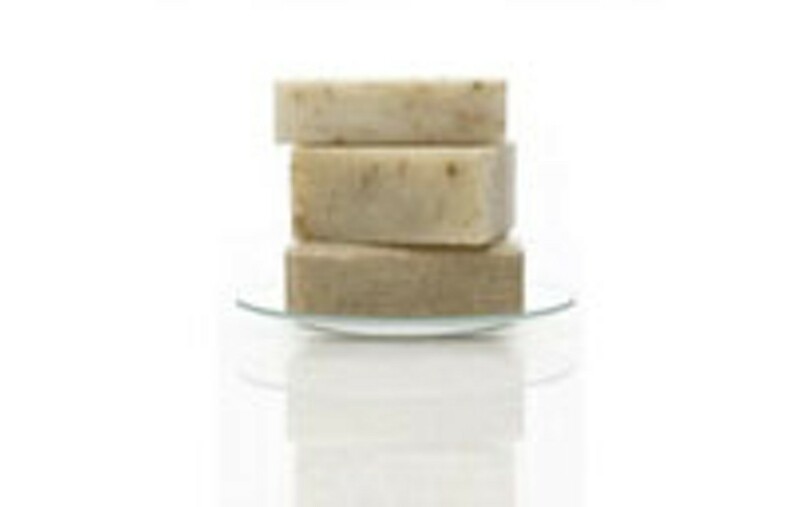 He's since perfected the craft, and produces soothing olive oil-based soaps enhanced with jasmine, lavender, and pear essential oils, as well as all-natural lotions and lip balms. Emanuel is known to stop in at Re4m frequently to change out the stock, and he quickly discovered the Balinese-style ink and watercolor paintings of Tana's husband, I Made Moja, whose art is now featured on Emanuel's lotion bottles. Meanwhile, Kristine Dang has taken the reuse concept to a new level with Fernseed (3436 Dimond Ave., Oakland; Fernseed.com), a home décor and novelty shop where just about everything is made from refuse. In addition to artwork quite literally made from bits of trash, Dang finds creative and stylish reuses for everything from Hula Hoops rescued from Burning Man (which became a light fixture) to tile samples (transformed into trivets) to orphan earrings (now necklace charms). Dang, who formerly worked at RedEnvelope, also revamps dumped furniture. A dilapidated wood cabinet sees new life as a minimalist dresser; an ornate, European-style wood bench receives pizzazz with reupholstered pink- and purple-striped seat cushions made from an old wool blanket. Fernseed also sells the work of local artisans, such as Oakland resident Edmund Eng, who began making handcrafted jewelry boxes when he acquired a cache of fine grain wood after chopping down a black walnut tree in his yard. Dang now gives Eng scraps of material leftover from furniture re-upholstry jobs, which the woodworker uses to line the jewelry boxes (also available at Berry Patch, 350 Main St., Pleasanton; BerryPatchPleasanton.com). Dang also has a regular refuse-donation program going on with neighboring businesses. The liquor store and bar down the street give her empty Tequila bottles, which she converts into terrariums. She transforms chipped teacups from a nearby Chinese restaurant into tiny planters for succulent plants. The list of re-useful businesses in the East Bay goes on: Creative Office (2470 Estand Way, Pleasant Hill; CreativeOffice.com), Canyon Construction (925 Country Club Dr., Moraga; CanyonConstruction.com) and Built From Salvage (BuiltFromSalvage.com).